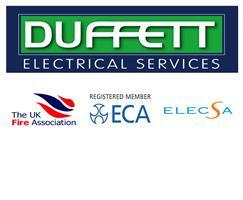 Duffett Electrical (Services) Ltd - Alarms/Security, Electrician based in Weymouth, Dorset. We are based in Weymouth and Exmouth and offer our services in this area as well as the rest of Dorset, Devon, Hampshire and Somerset. We are fully qualified, and have been established since 2002, so rest assured we are experienced to cover all jobs.